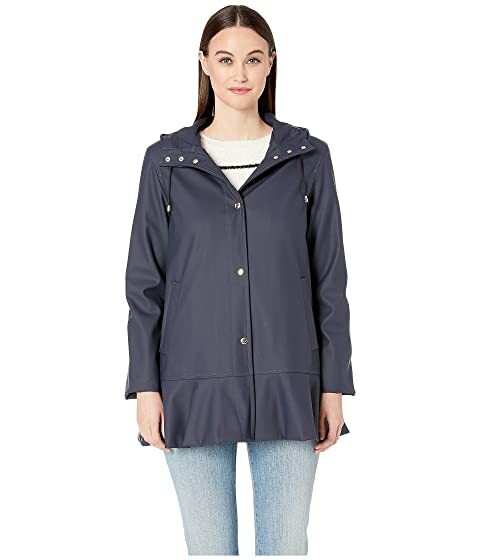 Keep the rain at bay wearing the Kate Spade New York® Peplum Raincoat. Hooded rain jacket with drawstring accent. Shell lining: 97% polyester, 3% spandex. Sleeves & pocket lining: 100% polyester. We can't currently find any similar items for the Peplum Raincoat by Kate Spade New York. Sorry!